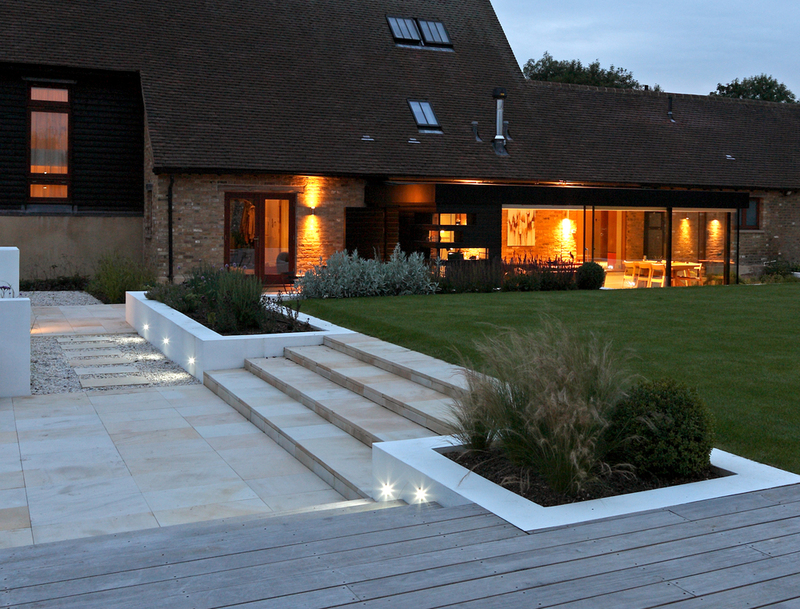 This large family garden design in Hertfordshire sits to the rear of a converted barn. 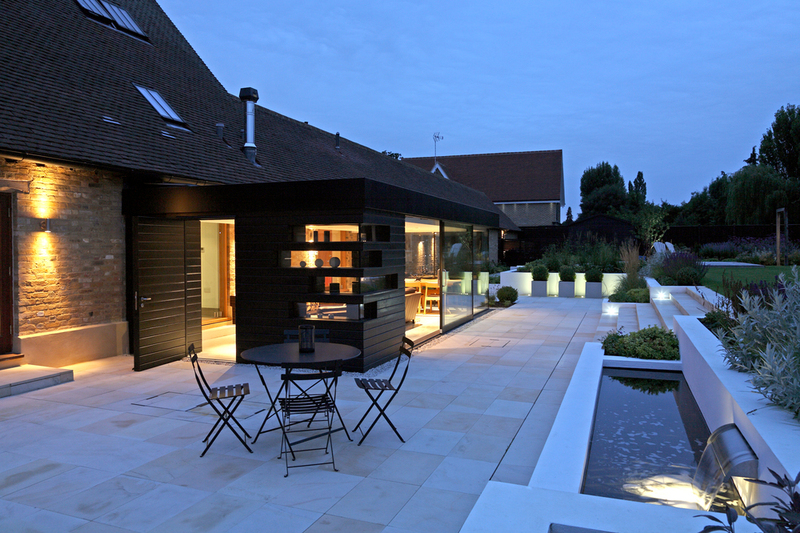 A contemporary extension by Nicholas Tye Architects was planned and the clients wanted to create a garden that would become an extension of the home and that could be enjoyed all year round. 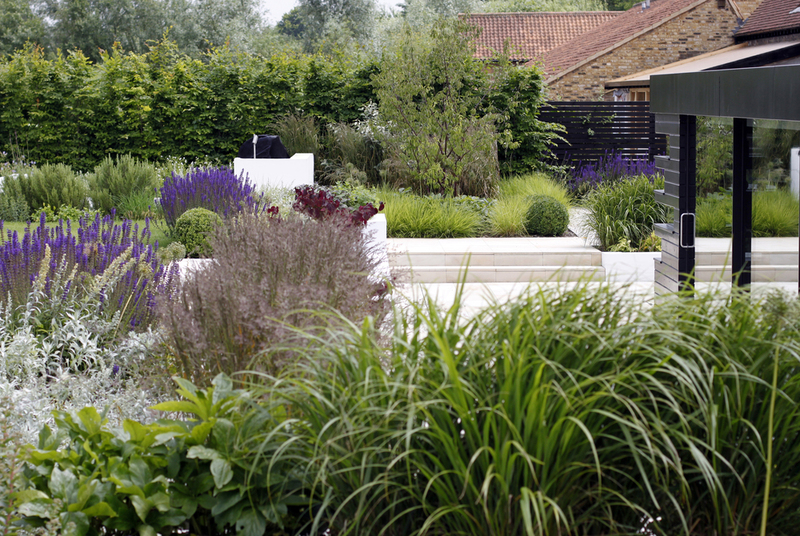 The existing garden sloped up awkwardly from the house breaking to a wide expanse of lawn and had very little interest. 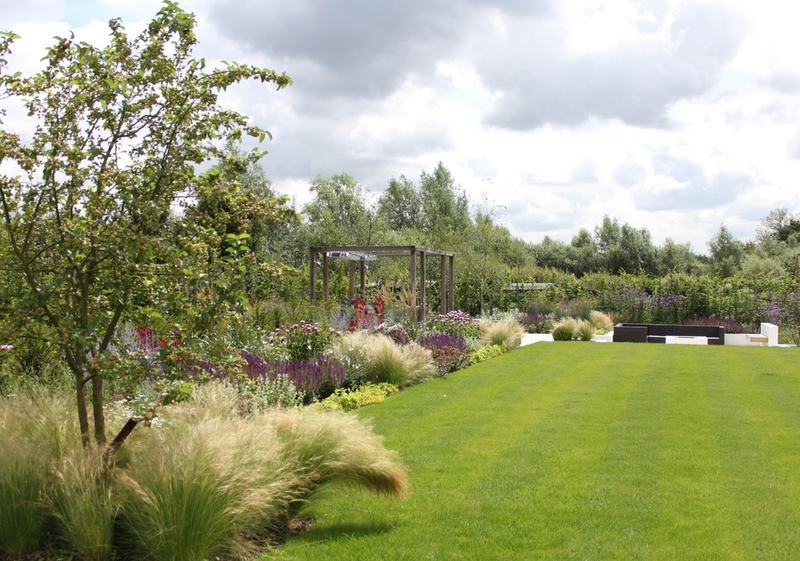 The brief was to produce a contemporary design with a grown up feel but that was still relaxed and family friendly. 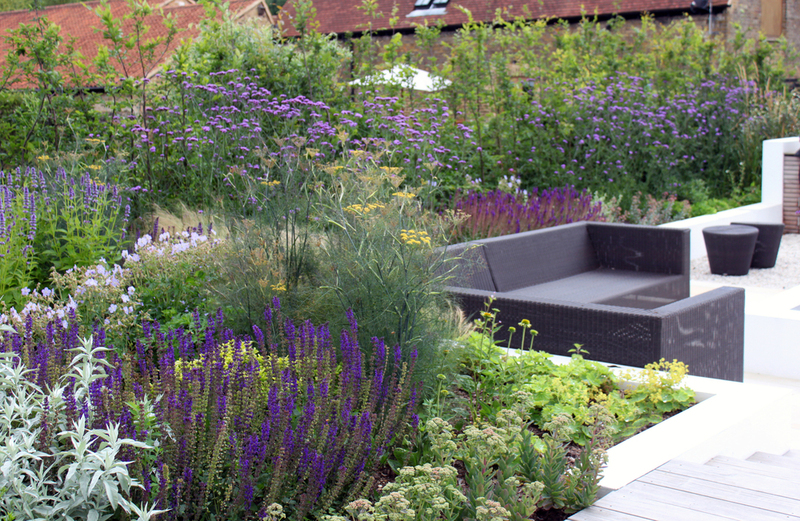 Space for socialising, an area for cooking, a play area for the children and a good sized vegetable garden were key requirements. Our design used strong geometry following the horizontal lines of the barn. 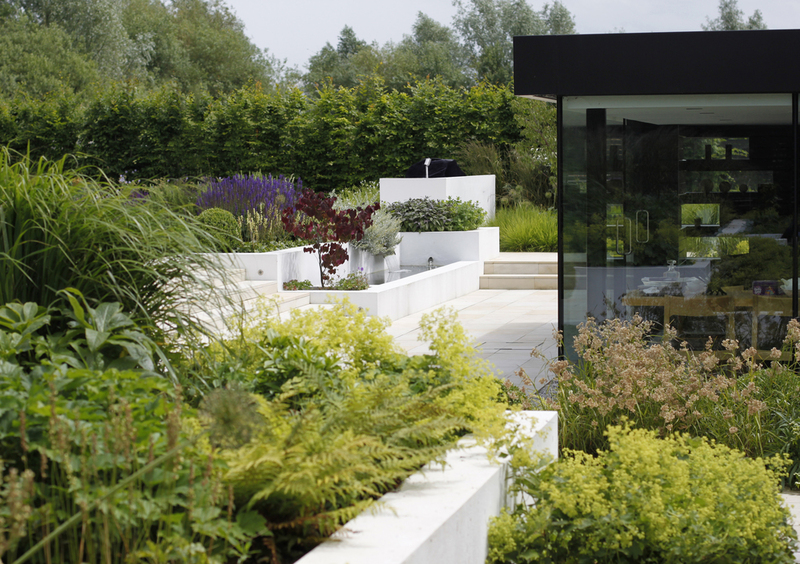 The space was divided into a series of outdoor ‘rooms’ using hardwood decking and sawn sandstone, quartz paths and wildflower meadow to create spaces for dining, relaxing and family play. 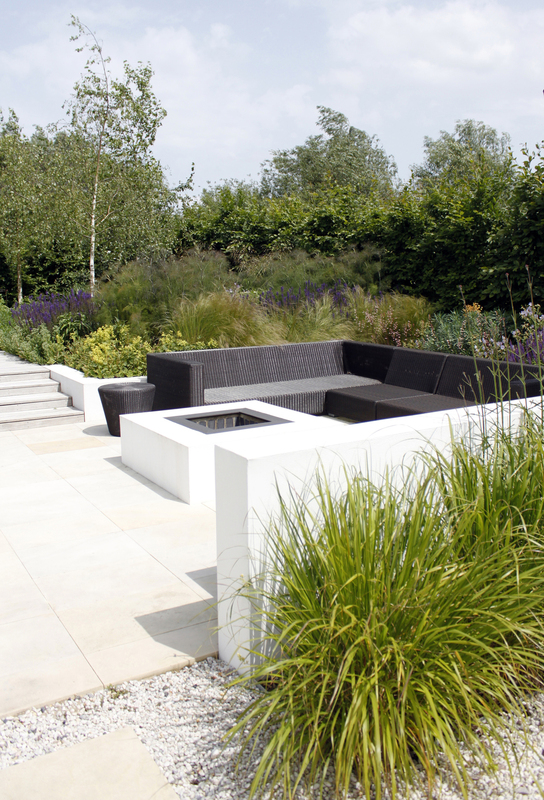 A smooth rendered retaining wall was designed to level the slope and allow a flat open lawn to be created at the heart of the garden. 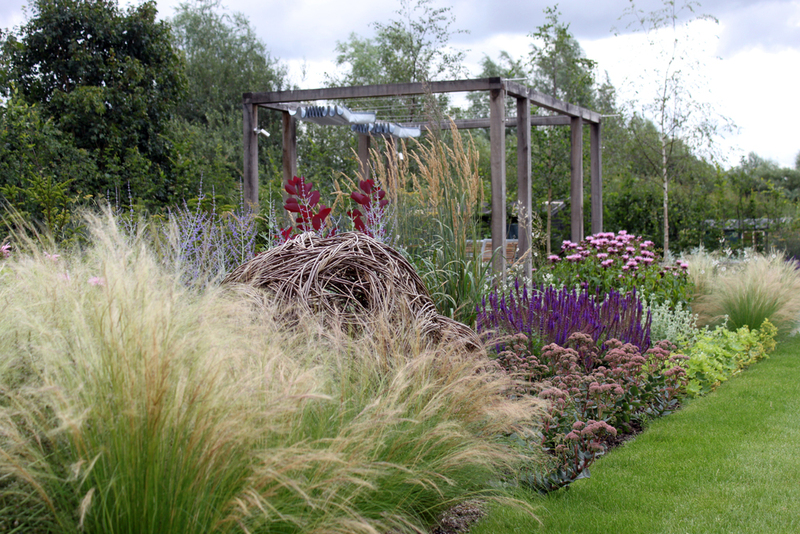 A naturalistic planting design using a contemporary mix of herbaceous perennials and grasses with strong forms for winter interest was designed to soften the straight lines of the design and provide a relaxed modern feel. Willow sphere & leaf sculptures were commissioned from willow artist Rachel Carter. 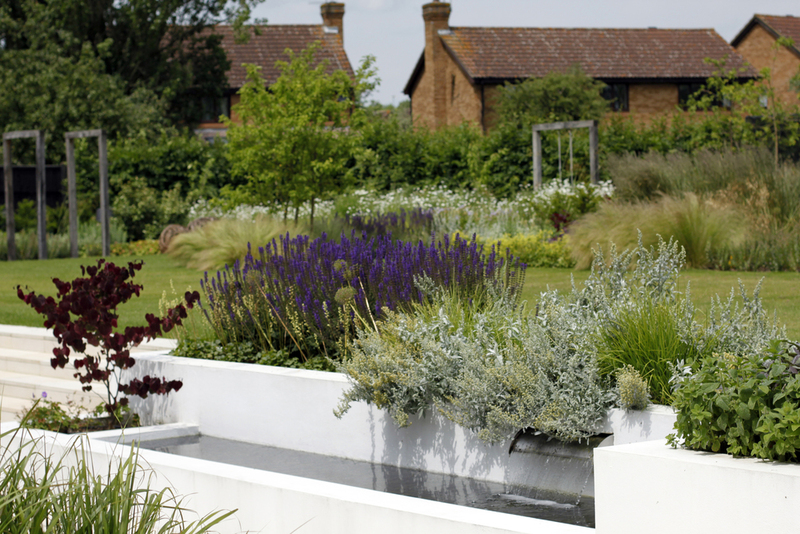 A lighting design and irrigation system were also created for the garden.